The American Dental Assistants Certification Board, Inc. was founded August 4, 1948, by the American Dental Assistants Association (ADAA) as a separate and distinct nonprofit organization “to advance the vocation of dental assistants by providing qualifying examinations.” Certification gained American Dental Association (ADA) approval in 1960 and the Board changed its name to the Certifying Board of the American Dental Assistants Association, Inc. the same year. As the “National Board” evolved over the years, the general public perceived the need for independent licensing and certification agencies in order to protect the public’s interest. Dental assisting leadership acknowledged that need and restructured the Board and modified policies in order that the credential “CDA” would continue to be known as the standard of competence in dental assisting. 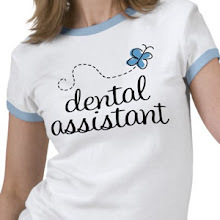 The name of the organization was changed to the Dental Assisting National Board, Inc. (DANB) in 1978 when the composition of the Board of Directors was modified to include dentists/employers. DANB bylaws were further modified in 1989, opening up the Board's decision-making process to other segments of the dental community. In June 1985, DANB developed a separate Radiation Health and Safety (RHS) component for the Certified Dental Assistant (CDA) examination to enable individual states to easily comply with requirements contained in the Consumer-Patient Radiation Health and Safety Act of 1981. In June 1993, DANB further developed the CDA exam by adding the Infection Control (ICE) component exam due to the continuing importance of infection control in the field of dentistry. The ICE is intended for voluntary use, to discern proficiency in infection control including OSHA requirements, as well as recommendations from the Centers of Disease Control and Prevention and the ADA for personnel performing procedures in the dental office. Dental Assistants assist the dental operator (dentist or other treating dental auxiliary) provide more efficient dental treatment, by preparing the patient for treatment, sterilizing instruments, passing instruments during the procedure, holding a suction device, exposing dental radiographs, taking impressions, and fabricating provisional crowns. Dental operators can focus more time on the procedure, the dental assistant then effectively becomes the operator's extra hands.